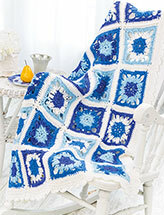 This is the perfect size baby blanket to take along in car seat or stroller without the heavy weight. 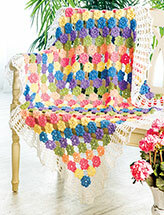 It's a sweet and delicate design you'll have so much fun making while you're on the go! Includes written instructions only. Size: 29" x 39". 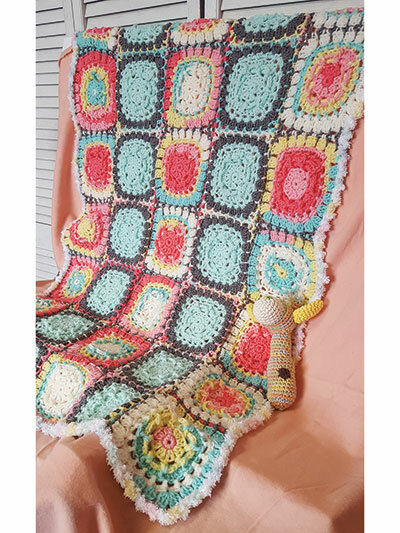 Made with light (DK) weight yarn for the main blanket and bulky (chunky) weight yarn for the border, and sizes G/6/4mm or 7/4.5mm and K/10 1/2/6.5mm hooks.